An interesting recipe that I found on Ricardo Cuisine website that you may like. I know for myself if I want to make some changes is regarding the quantity of to add sugar because I want to reduce the intake of sugar. But it is up to you! 1. With the rack in the middle position, preheat the oven to 350°F (180°C). 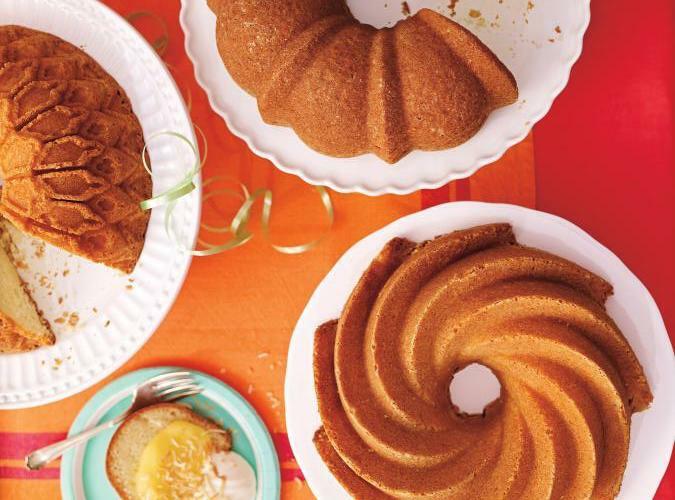 Generously butter and flour a 10 to 12-cup (2.5-3 liter) Bundt pan. 2. In a bowl, combine the flour, baking powder, baking soda, and salt. Set aside. 3. In another bowl, cream the butter, sugar and zest with an electric mixer until light and fluffy, about 2 minutes. Add the eggs, one at a time, beating until smooth. At low speed, add the dry ingredients alternately with the lemon juice and milk, beating just until smooth. Spread the batter into the pan. 4. Bake for 45 minutes or until a toothpick inserted in the center of the cake comes out clean. Let cool for 15 minutes. Unmould and let cool completely on a wire rack. 5. If desired, dust with icing sugar before serving. Why Am I My Best Customer?